Inspired by botanical illustrations first published in 1790, each piece of Stafford Flowers combines a different floral study with 22 carat gilding. 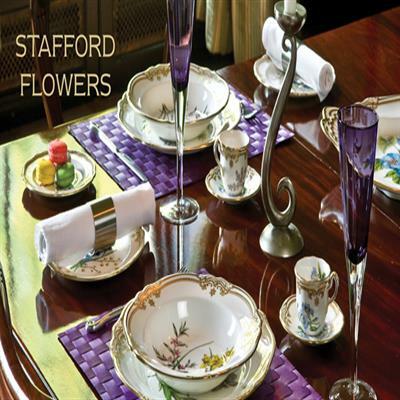 Stafford Flowers will add elegance to any table setting. Start or add to your collection with this 5-Piece Place Setting.